While both types of biocontainment and wastewater sterilization units from EWI operate based on the same principles, there are differences in how they operate on a step-by-step basis. The FS-6000 and the FS-POD are just the tip of the iceberg. New technologies are being researched and implemented by EWI every day. For a detailed breakdown of the operation of these units, be sure to read the brochures attached to each. The FS6000 system sterilizes all facility-derived contaminated effluents containing infectious biological organisms. As institutional facilities assume the liability for liquid waste discharged, they cannot rely on the consistency and capability of the regional domestic sewerage treatment facilities. Liquid waste sterilization using the FS6000 dramatically reduces the potential risk to sanitary workers’ exposure to infectious materials. 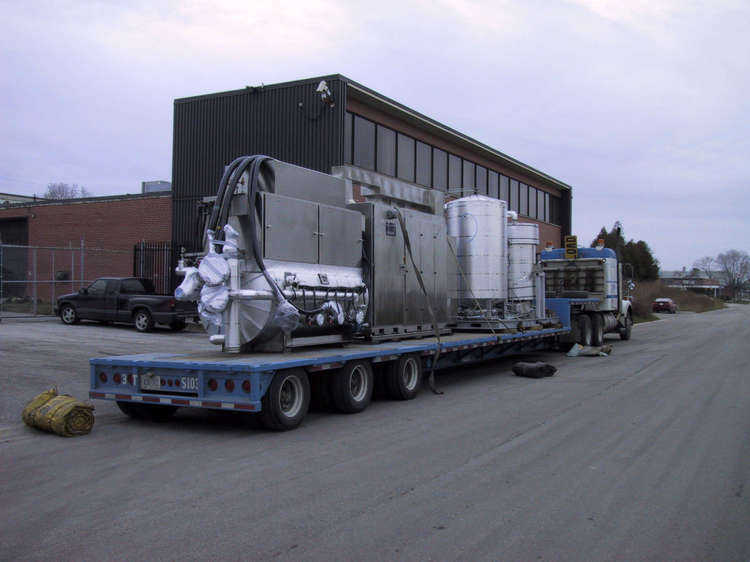 It assures the highest degree of Public & Environmental Safety through responsible liquid waste sterilization at the waste generator’s site. The FS-POD is a more compact, simple, effluent sterilization unit. Contaminated effluent is held in an accumulation tank. 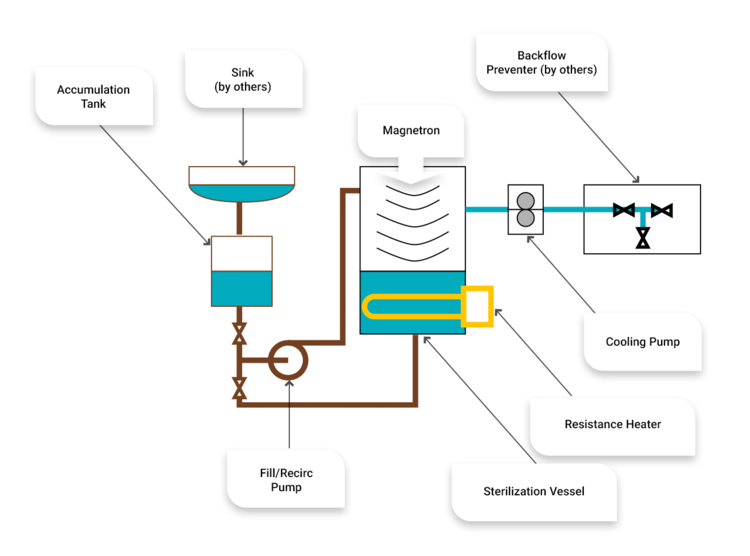 When ready for processing, it is transferred to the decontamination vessel where redundant energy sources of heat and a high intensity microwave field sterilize the effluent. 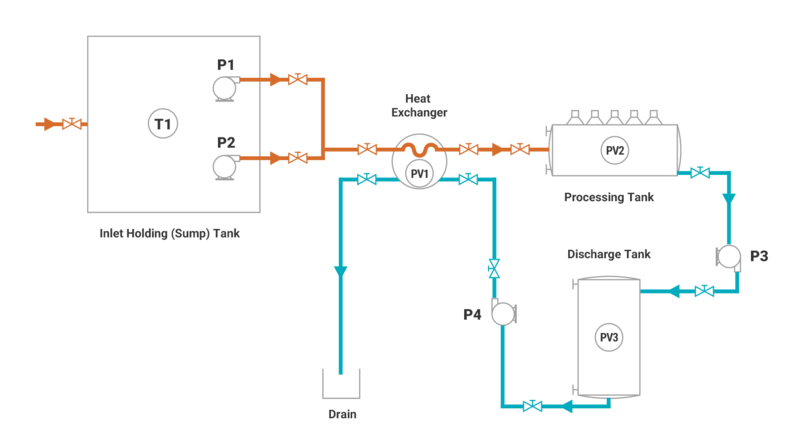 The system then begins a discharge and cooling cycle that runs until the vessel is completely emptied and ready for the next load. The system allows for installation under the counter in a laboratory. It is ideal for single labs or for retrofitting existing labs. The liquid to be sterilized can contain suspended solids. All wetted parts are made from stainless steel, while the redundant heat source of microwave energy, utilizing the EWS MDS and an electric immersion heater provide the required energy to complete a cycle. The liquid is heated to 141C and held there for 5 minutes prior to discharge to a sanitary sewer connection at 63C. The system requires only an electrical supply, a cold-water supply and a sanitary sewer connection to operate. No steam heat is required. The addition of microwave energy provides higher efficacy when compared to a standard heat system. See the FS-POD brochure (below) for details. The system is initiated either manually or automatically and completes the sterilization cycle and discharge automatically. The complete system is PLC controlled.